I am Cindy Tonkin. I am a coach, facilitator and trainer. Want some FREE STUFF? Click here. They call me the consultants’ consultant, because I consult to consultants. Specifically I work with data scientists who are internal consultants. I help them work smarter, faster, and “nicer”. My consultancy career began in 1986 at Accenture. More than 100 companies have used my services since I founded my own consultancy in 1992. In this century 100% of my work has been repeat or referral work. So my clients like what I do! 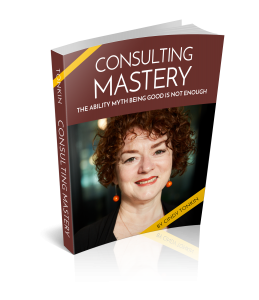 I’ve written 18 books on consulting and related fields. I’ve worked with data and insight teams at Commonwealth Bank, National Australia Bank, Suncorp and Telstra. See more clients here. 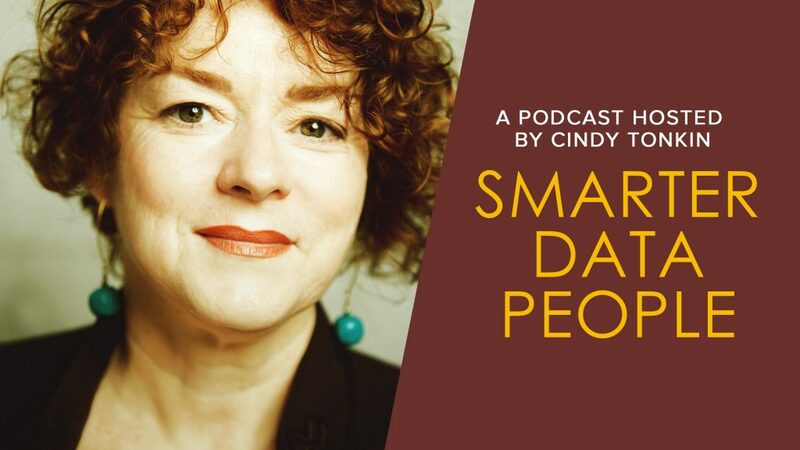 My podcast, Smarter Data People, gives the data science community valuable insights into leading world class data science teams. My clients face three big problems. Build acumen: fill knowledge gaps, listen to customers, say no nicely, manage scope and do what’s most important first. How do we inspire clients to want to change and then take action? What makes hard decisions easier? How do we get complex ideas across simply? Fast forward 20 years, I now help other consultants with brilliant technical skills do exactly those things. Caring about wasted time is in my nature. Working in productivity improvement honed my appetite for doing things right even more. While I have a deep-seated desire for things to work properly, we must care for people too. I know that smart people can work much better and faster and nicer when we pay attention to customers and clients. And it makes the planet a better place too! So what can we do together? There are three ways we can work together. Smarter Data People – renovate your team is a 15 month program where we renovate your team together. It puts your data science team to work on the important problems faster, targets wasted time, delights your stakeholders and saves money. And of course your team is happier too. In the first few months you’ll see silos break down, meetings become more productive and you’ll stop inching and start leaping toward your vision. Haven’t worked with me yet? Bring me in to analyse and quantify the potential in your team. Let’s find out if you are leaving 20% or 40% of your team’s time on the table. Then when you have the answer to that, you’re ready to move forward. And we will know where to target first. The key to this option is helping you realise how much waste is around. Then we can define a basic roadmap to reclaim that lost time. So you can make your stakeholders, your boss and your team happier. You can focus their time on what matters and identify any political liabilities. It’s then easy to roll right into the Smarter Data People program. It will show you your assets (people, knowledge, relationships) and point out your liabilities. Then you’ll know where to target when we start working together. If you’ve not yet worked with me, then the best place to start is with a strategic offsite for your key team members. We always make the best decisions we can on the information available to us. Make sure that everyone in your team has the right information on what your strategy is. Get everyone in your team clear on where you’re all headed so that their decisions can easily align with yours. Book a strategic offsite with me now. Delegating, briefings and day-to-day interactions become smoother. Things get done because people know what needs to be done and what the “big rocks” are. Ultimately, though, you want to get Smarter Data People program working with your team. So you can make sure your teams solve the important technical problems faster with less hassle. And thank the heavens for how great they are. Track and test that what we’re doing makes a difference. Here’s how we start: let’s speak by phone. Talk to me about an obligation-free meeting time management analysis. I only work with 3 organisations at a time, so make a time to speak to me for 10 minutes now: this link gives you a window into my diary so you can book a time that works for your commitments. There’s so much more your team could be doing. If you feel bogged down take a breath. Then talk to me. We can make your days feel lighter and smoother. The team will hum, your boss will smile, and your stakeholders will ask you what you’ve done to suddenly make things work so well! Find out about what clients think of my work here and here. If you’re more interested in my artistic and improvisational pursuits, visit my art blog here.